Every woman is inseparable from cosmetics, because cosmetics are more beautiful and confident women, so the cosmetics market is very large. Any brand or retail store wants more women to buy their own retail stores or branded cosmetics to maximize their profits. However, the market competition is very fierce. There are countless competitors in the cosmetics brand in each country and region. Even in the same market segments, there are strong competitors. How to stand out in a highly competitive market? We did a survey that 60% of female consumers make purchase decisions because of a beautiful packaging box, and will link the product value with the packaging appearance. Equivalent to saying that when you have a unique cosmetic tube packaging, you will get more attention on the cosmetics shelf because cosmetics tube boxes packaging are rare and people will always pay attention to the scarce things first. The first step to successful marketing. More than 65% of cosmetics use round glass or plastic bottles as the inner packaging, which is very convenient when holding cosmetics. From an ergonomic point of view, the curved design makes it easier to hold the bottle and will not be injured. Therefore, most cosmetics packages use round bottles. Why can’t the outside packaging use tube packaging? Cosmetic tube packaging can be based on the size of the product to determine the diameter and height, and the use of bulging or bronzing process, to increase the sense of touch of the package, to enhance the brand value is very helpful. 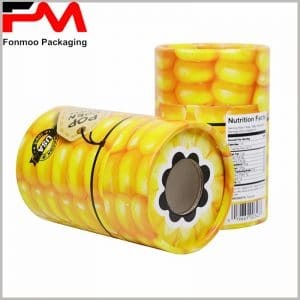 And because it is a cylindrical package, reading the product description is in the form of rotation, you can more quickly understand more product and business information. Or do you worry that tube boxes packaging can’t protect your cosmetics? This worry is completely unnecessary! Cosmetic tube packaging is the best protection for products in many cosmetic packaging styles. It is made of cardboard as the main raw material, so it is relatively hard and it is difficult to be completely destroyed. Second, because it is an arc structure, it lacks edges and corners compared to a square package, so the edges are not easily damaged. Finally, you can add EVA rings at the bottom and top positions to take advantage of the EVA’s high elasticity and cushioning, which can provide a good protection for cosmetics. Custom cosmetics tube packaging can greatly enhance the brand value. Custom packaging is customized according to the characteristics of the product and brand, and the brand logo can also be well represented. In particular, the creative cylinder packaging is equivalent to a mobile billboard. It can carry out brand promotion on shelves and consumer homes, and it will even allow people to automatically spread their brands, greatly increasing the value of the brand. And because the surface layer of cosmetic cylinder packaging is to paste the printed copper paper on the surface of round boxes, any printing process can be used in cardboard tube boxes, and the use of gold foil and other printing processes to enhance the luxury of cosmetics tube packaging to enhance the brand’s grade. The use of paper tube packaging for cosmetics is a good form, and the views in the blog are well worthy of recognition. I already like your content, clear ideas and unique design sharing, I will often come back to check if your website has more content updates. I always wanted to try paper tube packaging, but hesitated for a long time. Thanks to this blog, I am determined to try my paper tube packaging and make a new change to my brand.